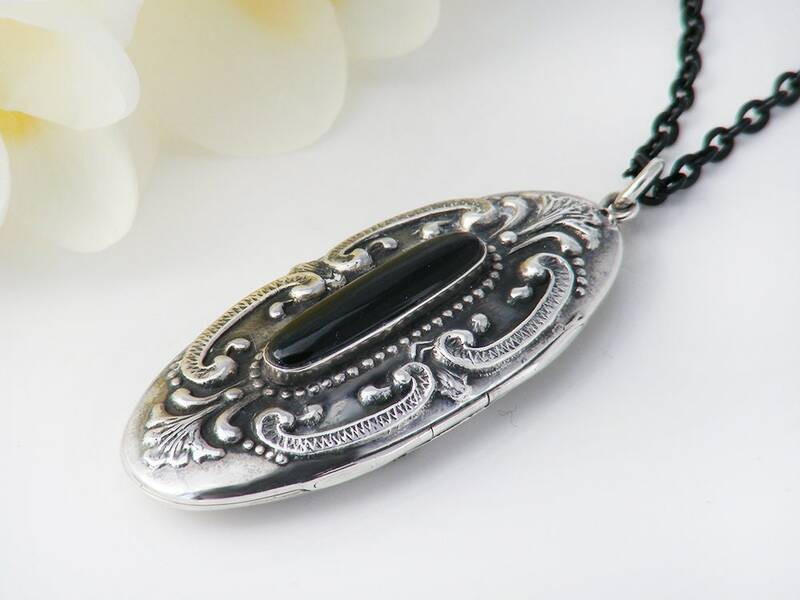 A very elegant vintage sterling silver locket set with a beautiful glossy black onyx cabochon. 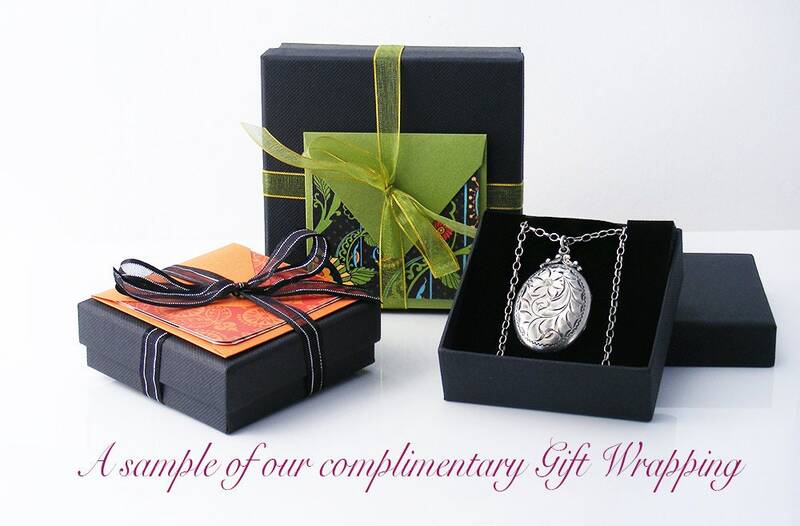 The locket is an elongated oval in shape with a decorative repoussé Victorian Revival design. Sterling silver stamped STERLING on the inside. There are no photo rims, the locket covers have an edge recess to tuck images inside. 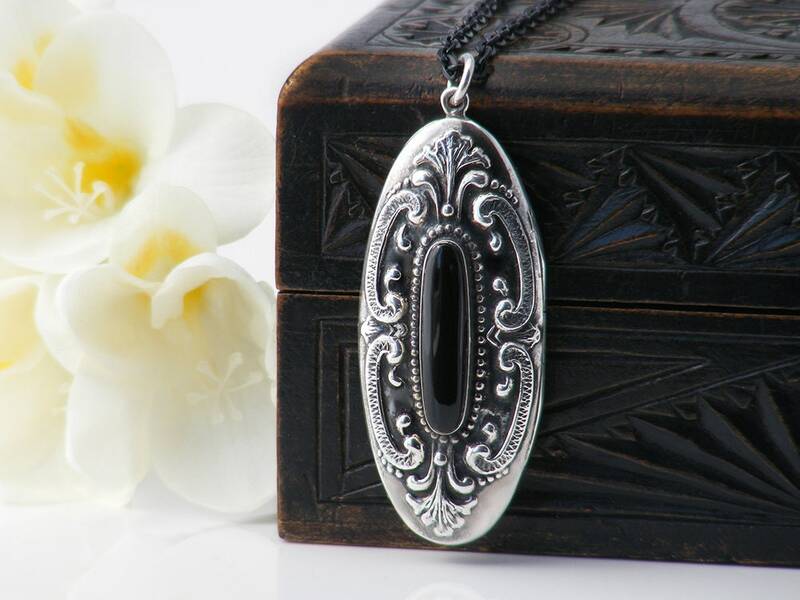 The locket has a raised collar set onyx stone to the front, surrounded by a repoussé border, nicely textured and very tactile. The back is plain and smoothly polished. .95 x 2 inches or 24 x 52mm and approximately 10mm in thickness. The total drop from the chain, including the bail is 60mm. Weight: 12.4 grams without the chain. Condition: Very good. No issues at all. 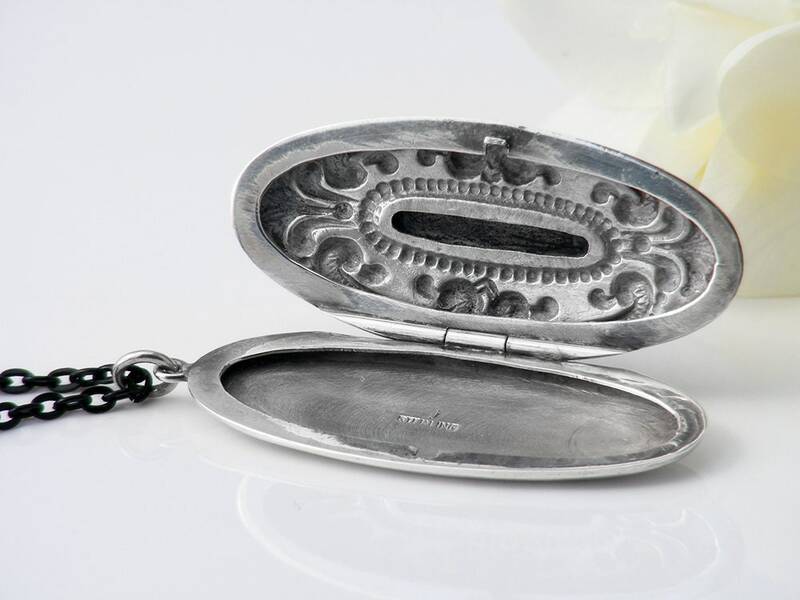 The hinge is strong and the locket closes tightly and stays closed; a very well made locket with nice dark patina to the front. 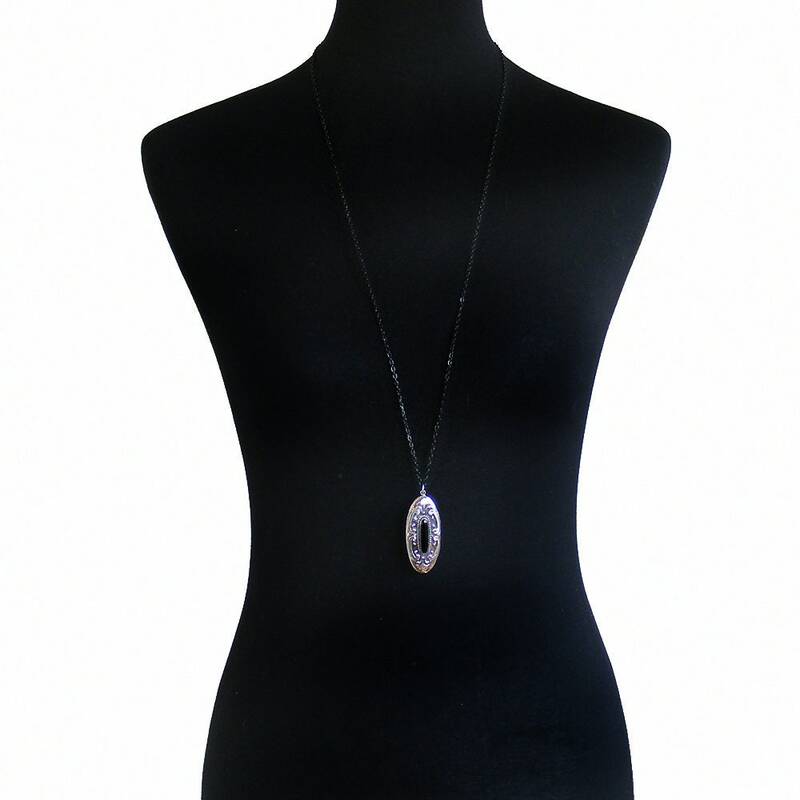 The locket is presented on a blackened brass chain 34 inches or 86cm long, an excellent match for the locket. Locket and chain are shown on a life size torso in photograph 2. 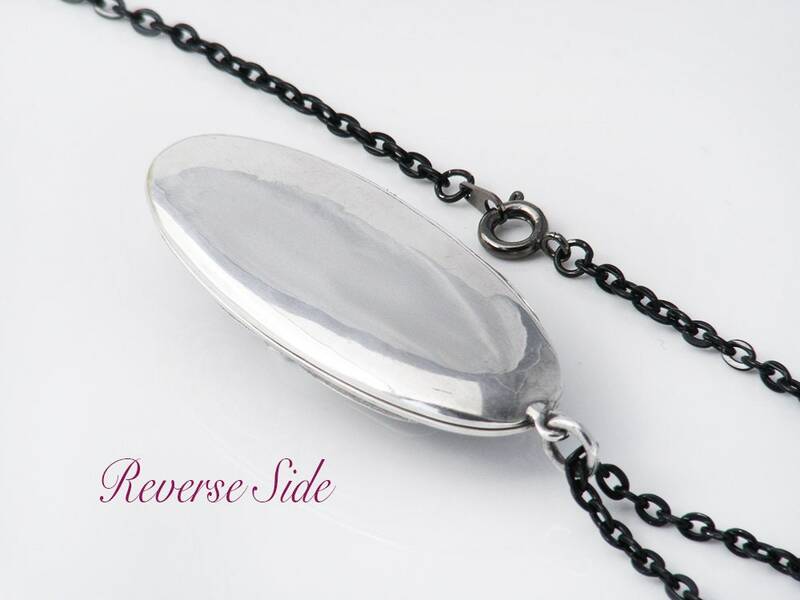 I love the long and elegant shape of this locket - a very pretty piece of vintage sterling silver.